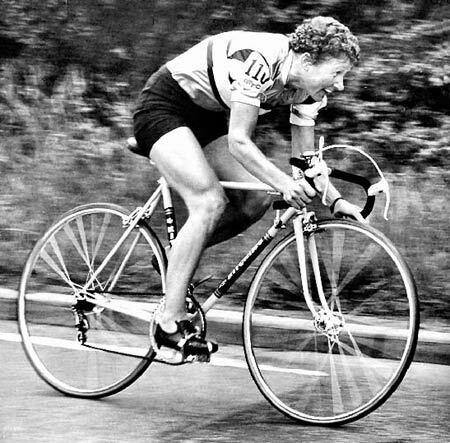 In 1967, Beryl Burton was in great form and she entered the Otley CC 12 Hour Time trial. In those days, men and women weren’t allowed to race together. 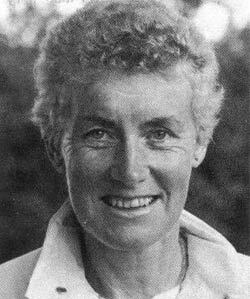 So to separate them, Beryl Burton started two minutes (as opposed to one minute) behind the fastest man – Mike Mcnamara. It was a ridiculous set up – a 1 minute gap between the mens and womens race provided the legal distinction; but, it gave Beryl a real carrot to chase – a realistic chance to overtake the fastest male time triallist For Mike it was hardly a good situation; he had everything to lose and not much to gain. If he lost to a women, it would do him no favours. On the other hand, if Beryl failed to beat Mike, no harm, after all she was a women and who could expect a women to beat a man? ‘would you like a liquorice allsort? Mike, in gentlemanly, fashion replied ‘Ta, love’ and promptly ate the sweet as the great female cyclist Beryl Burton swept past. At the end of the 12 hour race Mike Mcnamara had beaten the 9 year old 12 hour record, finishing with 276.52 miles. However, his record beating ride, was completely overshadowed by Beryl’s ride which left her with a total of 277.52 miles, the first time any male road cycling record had been held by a women. By the way, Beryl was not a full time cyclists, she gained little in the way of sponsorship and had to work full time as well as bringing up a daughter Denise. At one time Beryl worked as a rhubarb picker for a club mate of Morley CC. Berly Burton died aged 58 in a cycling accident. There is a memorial garden to her in her home town of Morley, near Leeds. Died in a “cycling accident” is a misrepresentation. She died of heart failure at the end of a training run….. But in another sense, BB is immortal. I love the story of Beryl overtaking Mike in the 12 hour. For the sake of the historical record, however, I would like to point out a couple of minor inaccuracies. The BBAR is run over 50, 100 miles and 12 hours for men. The women’s version is 25, 50 and 100 miles and Beryl did not need the 12 hour for her BBAR. In 1967 the BBAR was just the BBAR but since 1999 there have been 2 distance and 3 distance versions. The 3 distance BBAR is the same as the old one. The 2 distance version counts only the 2 shorter distances: 25 and 50 miles for women, 50 and 100 miles for men. Beryl’s record, which still stands in spite of the advent of carbon fibre bikes, disk wheels, skin suits, aero helmets and scientific training and nutrition is 277.25 miles, not 277.52. All the other competition records she set have since fallen to better equipped riders, but none of them before the 1990s. Her daughter’s name was Denise. Leave a Reply to Dave Kahn Click here to cancel reply. © 2014 Cycling UK. All Rights Reserved.